The RLM license server was running. The solidangle ISV server was running. There were no errors in the ISV debug log in RLM Web Admin, just the Reread request by automatic@midnight entries (the RLM license server automatically rereads license files at midnight every day). 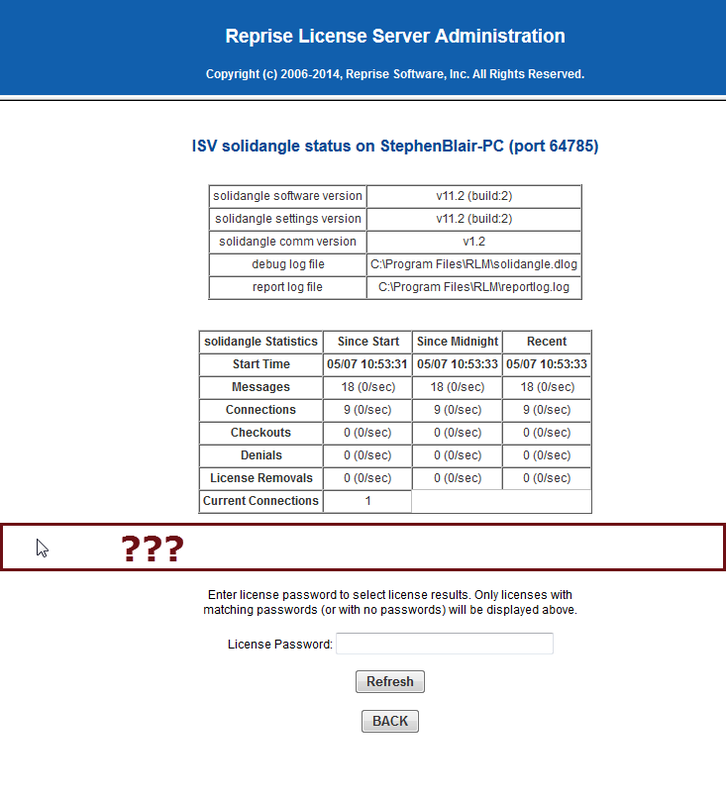 Although there were no errors in the log, a check of the ISV solidangle status page showed something wrong: where’s the License Pool Status??? 05/02 00:00 (solidangle) Setting TIMEOUT for arnold to 120 secs. This entry was posted in Licensing and tagged Licensing, RLM by xsisupport. Bookmark the permalink.